Angie Balfanz, Cow Tipping Press writer. Photo by Nikki Rykhus. When Rob Bergerson sat down to write poetry for the first time, he drew on things that inspired him. He wrote about his girlfriend. He wrote about sports. He wrote about travel—he loves travel. “I’ve been to California, Europe, Mexico, Sweden—all over the place. I’ve been everywhere,” he said. Bergerson was a first-time poet, but a natural documentarian. Sometimes he grabs his camera and videotapes whatever’s happening in his life: sometimes it’s a thunderstorm, sometimes it’s the aftermath of a national tragedy, like the recent shooting in Orlando, Fla.
He’s also a developmentally disabled person, living in a group home. Bergerson recently published some of his first poems with Cow Tipping Press, a nonprofit organization that exclusively works with and publishes developmentally disabled writers. Taking a class with Cow Tipping Press was the first time Bergerson had ever tried his hand at poetry–let alone read it aloud—which he did, at one of Cow Tipping Press’s public reading events. The reason he’d never done these things before was not, he said, because he didn’t think he could do them. He could. It was simply because until then, he hadn’t had an outlet. “You think of things you’ve never thought of before, and you can speak your mind,” he said. 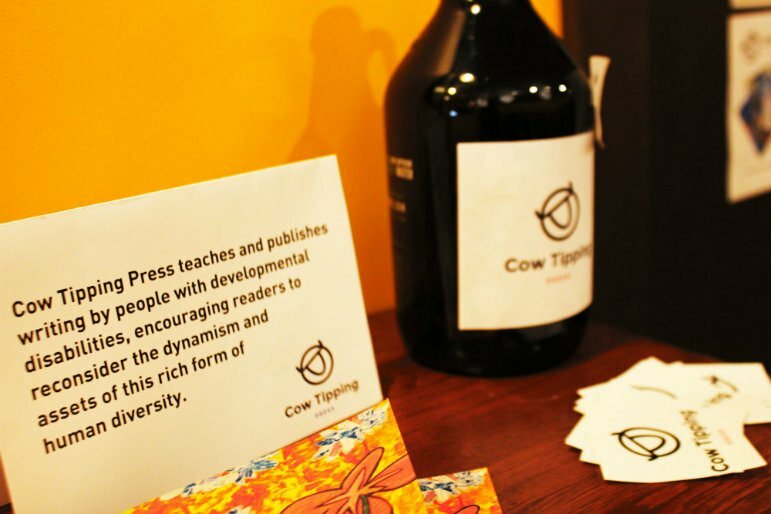 Cow Tipping Press is a relatively new organization, founded and headed up by Bryan Boyce. Boyce has been full-time at Cow Tipping Press for about five months now, but he’s held the idea of working with developmentally disabled writers in his mind for much longer. Boyce grew up with a brother with developmental disabilities. One day, when he was home from his studies at Cornell College, he proposed they write something together. “I said, ‘You talk, and I’ll type,’” Boyce said, remembering. So his brother had talked, and Boyce had typed. By the time they’d finished, even Boyce had been surprised. “What he came up with was different than anything I’ve ever seen,” he said. His brother’s sense of wordplay was sharp, and utterly original. These ideas had just been bouncing around in his head all the time, and until they’d sat down and written something, he hadn’t had the opportunity to share them. That was enough for Boyce to take action. He got a grant to teach a writing class to the people in his brother’s group home network, and he published a book of their writing. Years later, after graduating and doing a stint in K-12 education, Boyce thought back on that collaboration. He’d had the privilege of growing up with his brother, and seeing firsthand his courage and the plasticity of his wordplay. Not everyone, he realized, had a chance like that. He took that original collaboration and scaled it up. Now he trains college students to go into group homes and teach writing classes. When the writers have completed a body of work, Cow Tipping Press publishes a book of their stories, poems and essays, and holds a reading to share them with a wider audience. At a June 9 event at The Coffee Shop NE, there were eight readers to present their written works from Cow Tipping Press’s latest published volume, “Future Drivers from the Future.” Brian Bergin, a program supervisor at Lifeworks Services in Brooklyn Park, was there that evening, too. Lifeworks, he said, had contracted with other creative services before, but this is the first time they’ve ever held a writing class. “There’s not a lot available out there,” he said. The concept of art therapy is becoming more broadly accepted over time, he said, but in general, writing classes for developmentally disabled people are harder to find than theater, music or visual arts. That means writers like Shinoa Makinen don’t always get the chance to show what they can do. At the reading, she mostly kept to herself, concentrating on her notes and her multiple revisions, but she had plenty to say about her influences when asked. “My uncle is a songwriter. My aunt is a piano teacher. Most people don’t know that I can translate—some of them [the poems] can be translated into songs,” she said. When it was her turn to read, she went through the latest editions of her poems. Some were about music. Some were about death. Some were just about her. One of Dwayne Davis’ supporters whispers the words of the poem in his ear so he can recite it. Photo by Nikki Rykhus. And right now, the developmentally-disabled community is long due some radical self-representation. This program is not just about giving developmentally disabled people a chance to be creative and express themselves. It’s just as much about giving non-disabled people a chance to read their work and understand who the writers are. 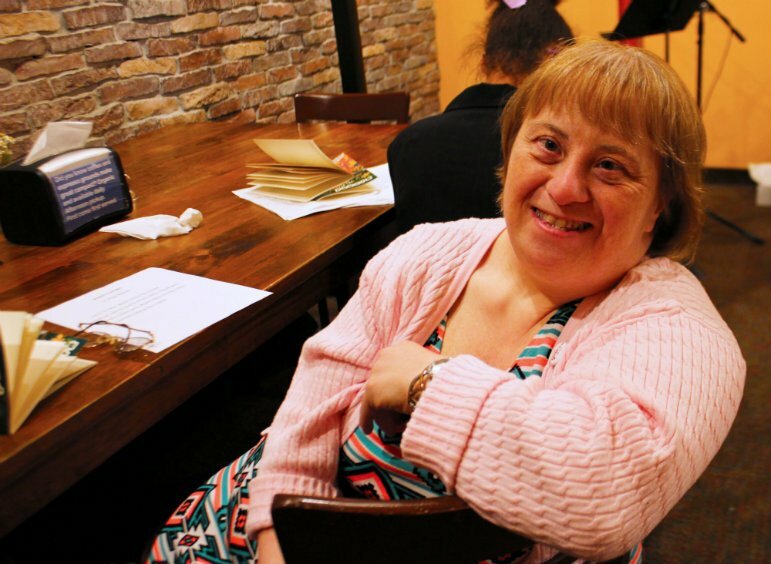 These books and readings are a small step toward the ultimate goal of Cow Tipping Press: to better educate non-disabled people on how to regard their developmentally disabled peers not just as people, but as equals, in every sense of the word. It’s not just about “helping” people who have disabilities. It’s about teaching people who don’t. The writers at Cow Tipping Press don’t need to be patronized. They need to be heard and understood. In the future, Boyce would love to see work from developmentally disabled writers taught in schools, alongside books like “Of Mice and Men.” In the short-term, possibly in the next year, he’s focusing on expanding his operation to 15 teachers and 150 students at any given time. He’d also like to expand their readership – maybe find that first third-party publisher. In the meantime, writers at Cow Tipping Press like Bergerson have their names in print and reach an audience of about 1,500. 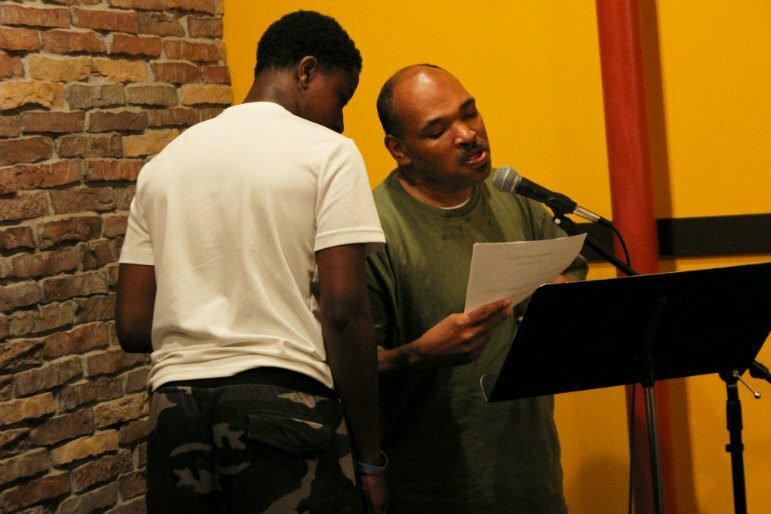 While Bergerson isn’t sure if he’ll take to poetry again, he’s glad he had the opportunity to try it. Just like any other person, he’s living his life, making money, going on vacation, being creative and feeling good about himself—all on his own terms. On Monday, Dec. 26, Junauda Petrus – recently named one of City Pages' Top Artists of 2016 – wrote an open letter criticizing the city of Minneapolis for removing her poem, "A Prayer for Pussies," from the public art illuminated lantern project soon to be installed on Nicollet Mall.